Aweis Osman is an associate in Gowling WLG's Ottawa office, practising in the Advocacy Department. Aweis completed his JD and Master of Health Administration at Dalhousie University. In 2012, he completed a corporate residency at Medtronic, where he worked with the department of legal affairs, business development and marketing. Additionally, he conducted research on the regulation of medical device innovation and presented a graduate senior seminar on the topic. 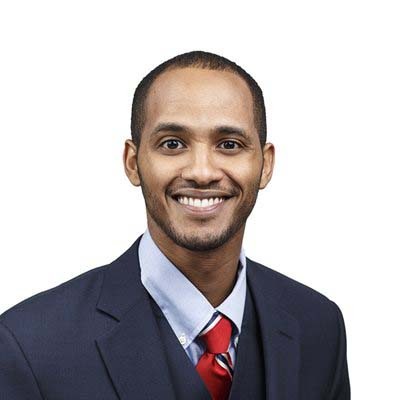 In 2013, Aweis worked as a business development manager at Mogadishu Law Office in Mogadishu, Somalia, where he co-developed and implemented strategic marketing plans to establish the firm's brand. He is currently involved with ongoing projects at the firm. Aweis earned a Bachelor of Health Sciences (honours) from the University of Ottawa in 2011. During his studies, he was awarded the Heart and Stroke Foundation’s John D. Schultz Science Student Scholarship. He was also successful in securing a research assistant position at the Neuroscience Research Institute and co-authored a publication in the Journal of Neurochemistry. "China’s Maritime Silk Road and the Future of African Arbitration." The Belt and Road Initiative: Law, Economics, and Politics (2018).